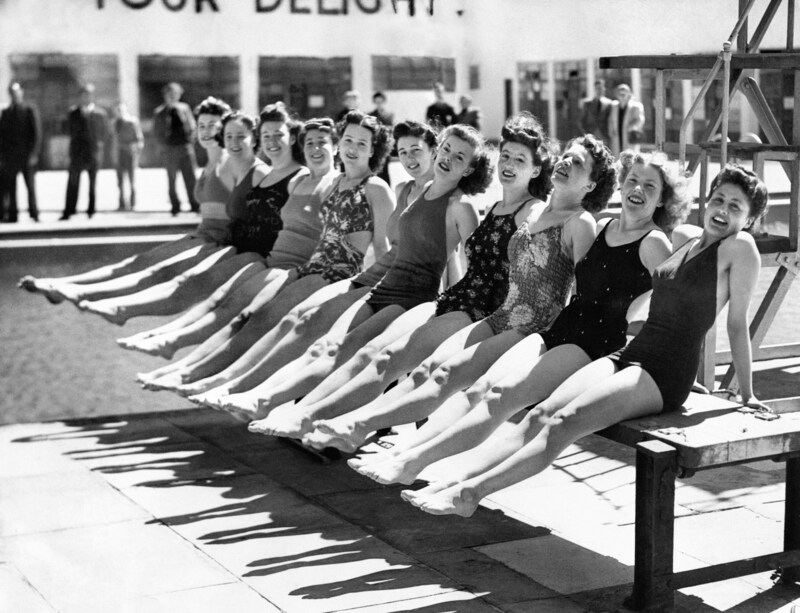 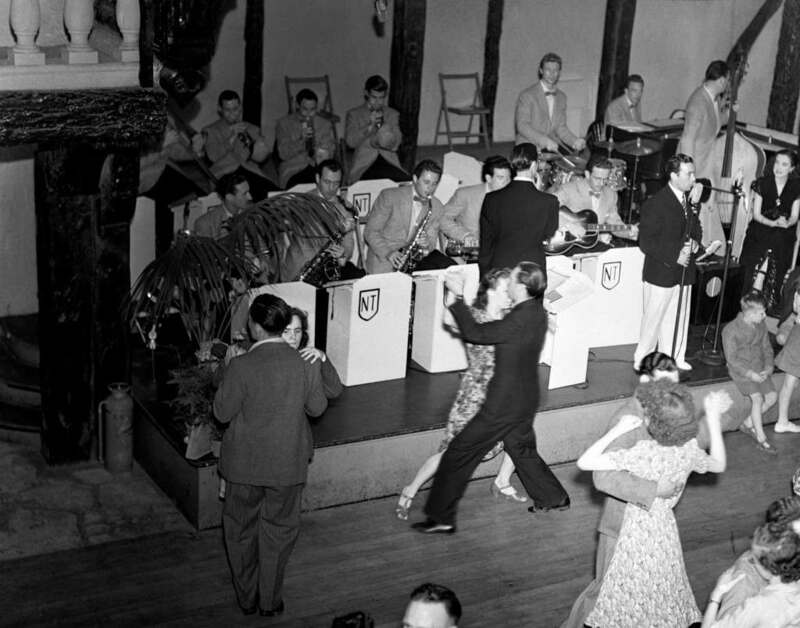 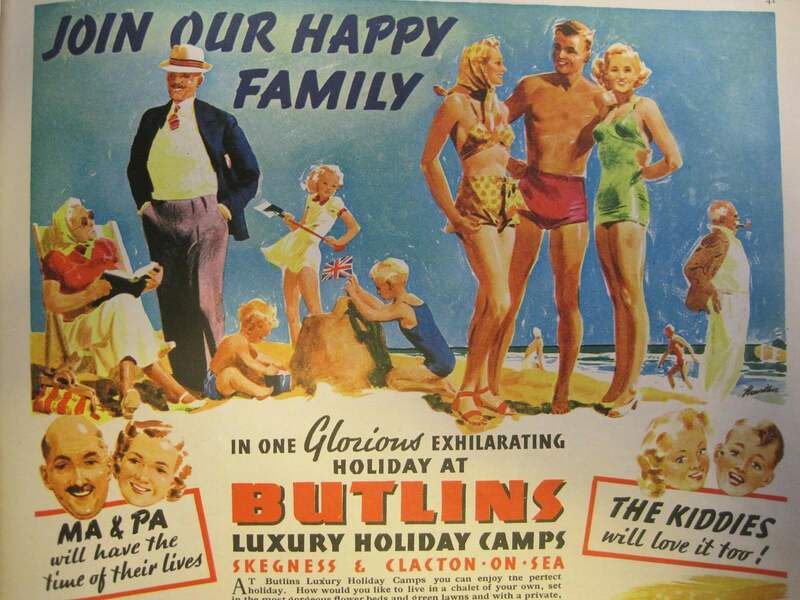 The first ever Billy Butlin holiday camp was opened at Skegness in 1936 - it still exists today. 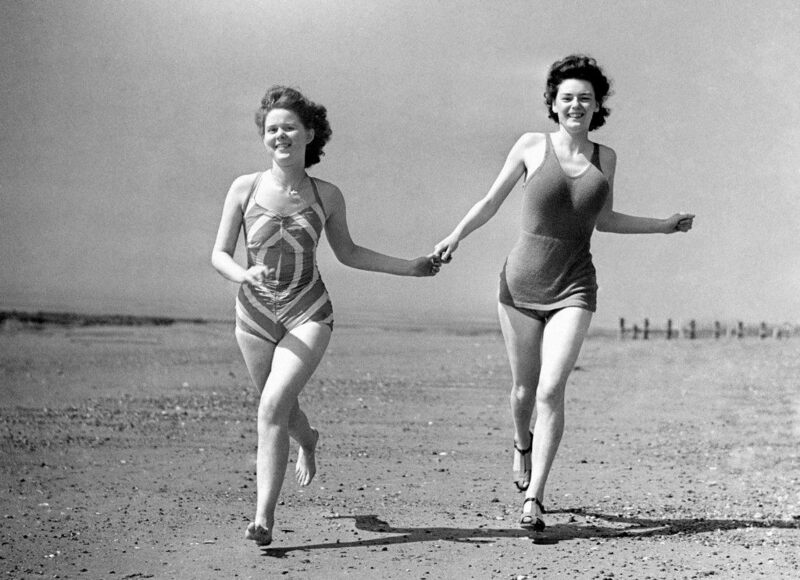 The beach at Skegness, 1948. 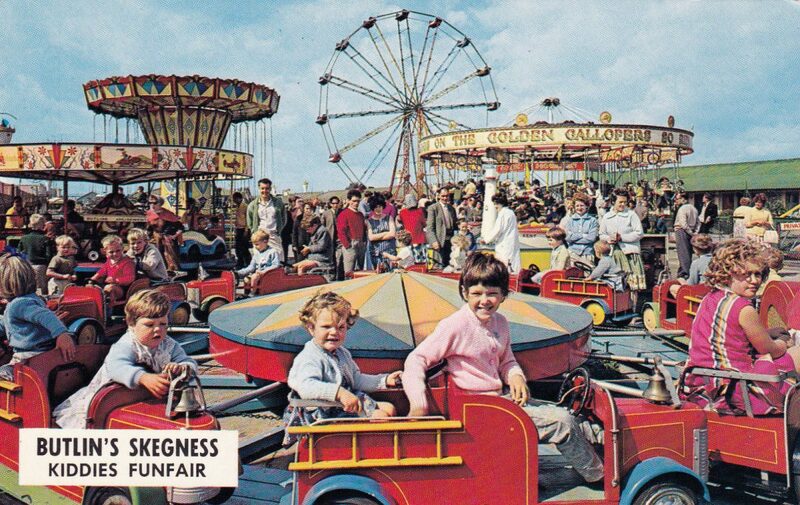 Butlin had previously run a travelling fair and set up some fairground stalls at Barry Island in Wales. It was while at Barry that Billy noticed that the typical landlady, whatever the weather, would push the families out of their lodging houses during the day – almost literally. 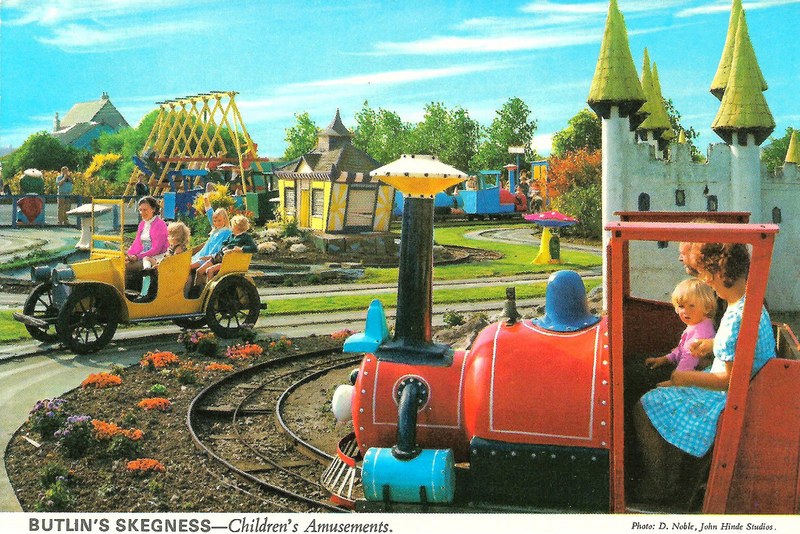 He began to nurture the idea of a holiday camp not dissimilar to the ones he used to attend when he lived in Canada as a child. 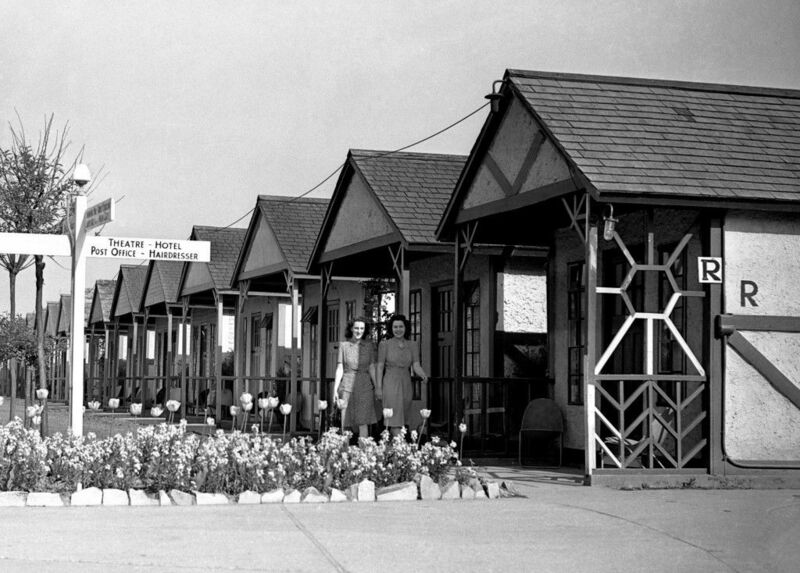 In 1927 Butlin had leased a piece of land from the Earl of Scarbrough by the seaside town of Skegness and where he set up an amusement park with hoopla stalls, a tower slide, a haunted house ride and, in 1928, a miniature railway and Dodgem cars — the first time this fairground attraction had been seen in Britain, as Butlin had an exclusive license to import them. 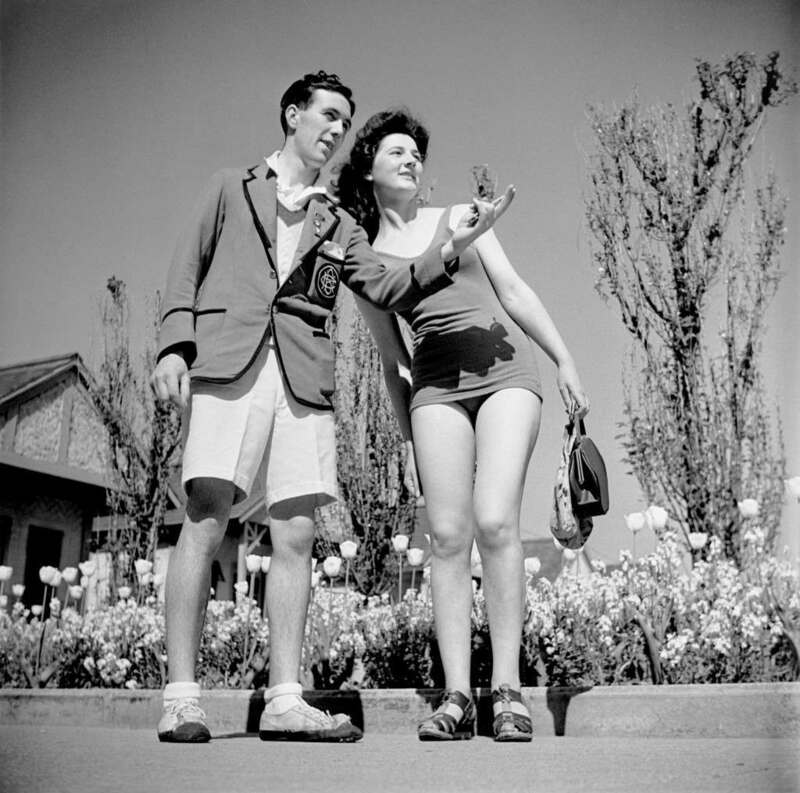 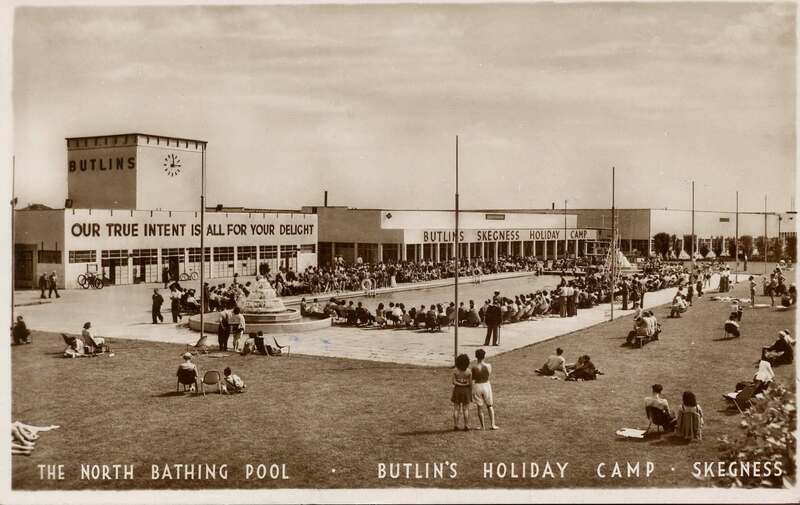 During the 1930s Butlin had joined the Warner’s Holiday Camp board and observed their holiday camp being built in Seaton, Devon. 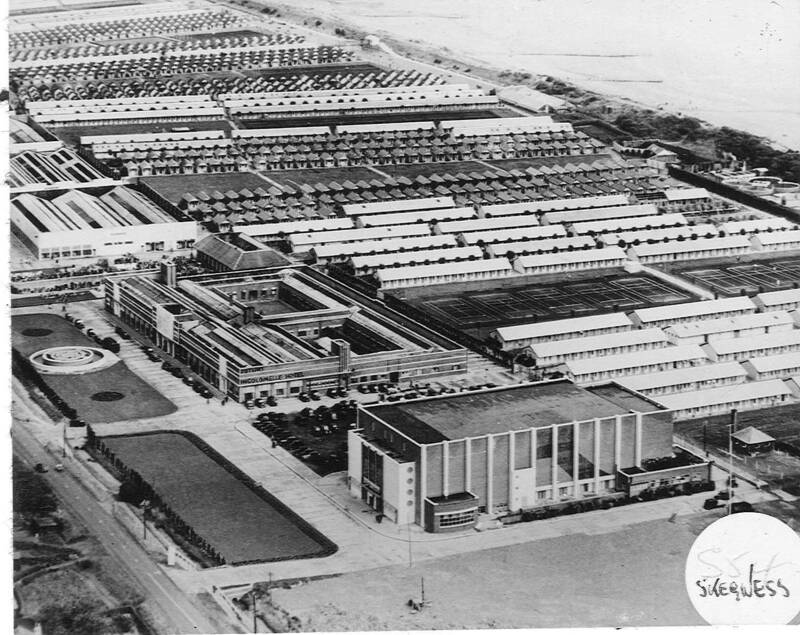 Construction for the Skegness Butlin’s began in September 1935 and was opened in April 1936 by Amy Johnson, the first woman to fly solo from the UK to Australia. 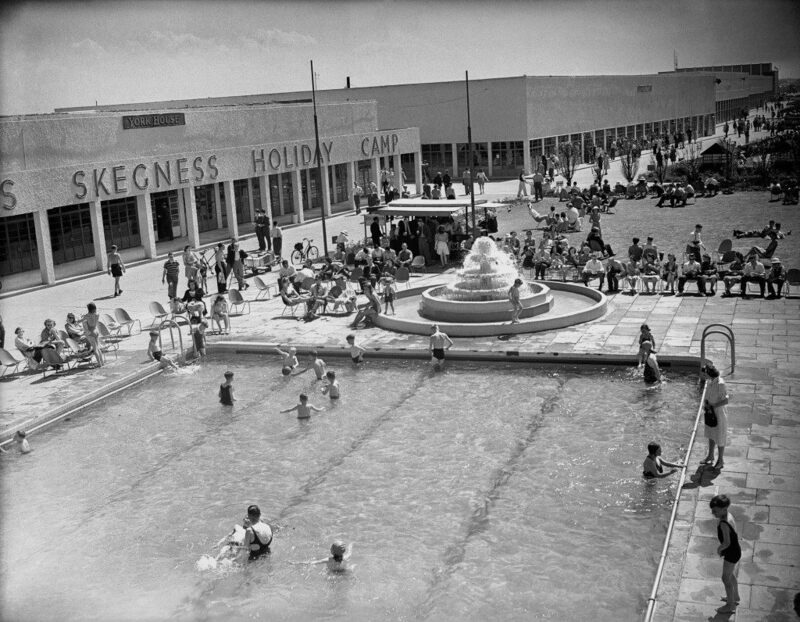 During World War II, the Skegness Butlins became a Naval training base (known as HMS Royal Arthur) but reverted back to a holiday camp in 1946. 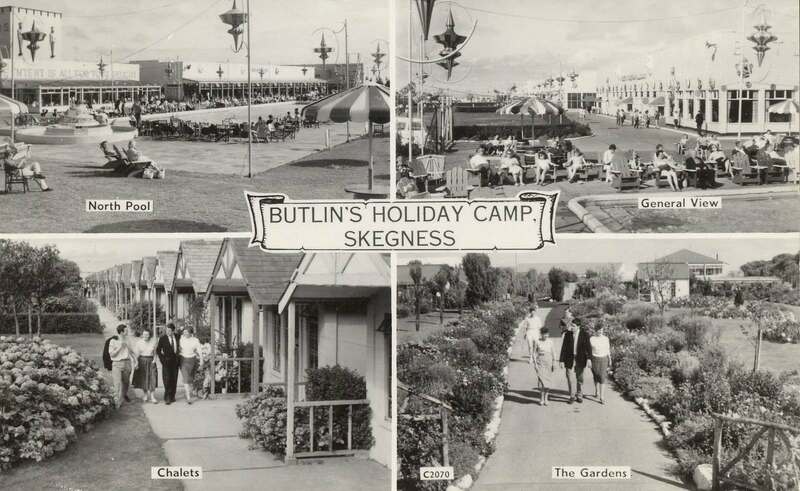 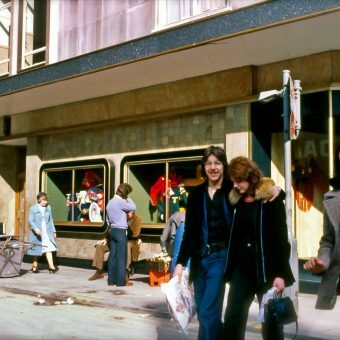 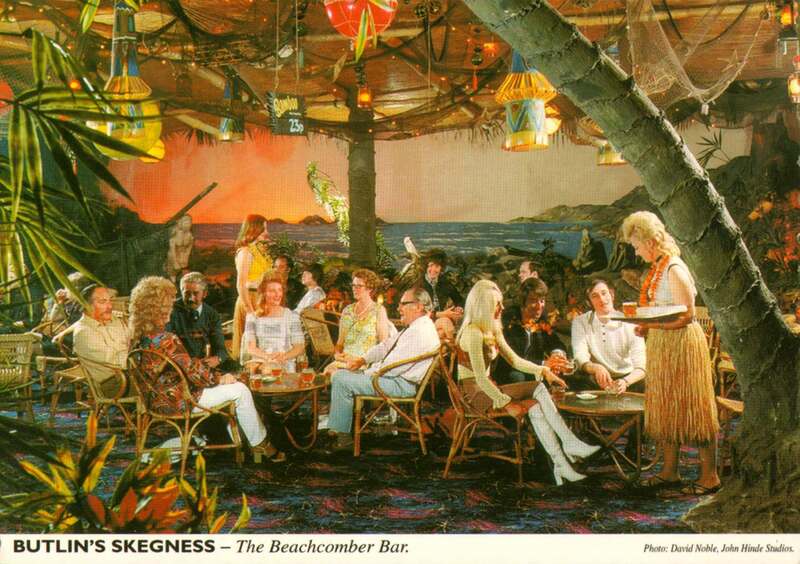 It is still open today although officially called Butlins Resort Skegness as one of three remaining Butlins resorts. 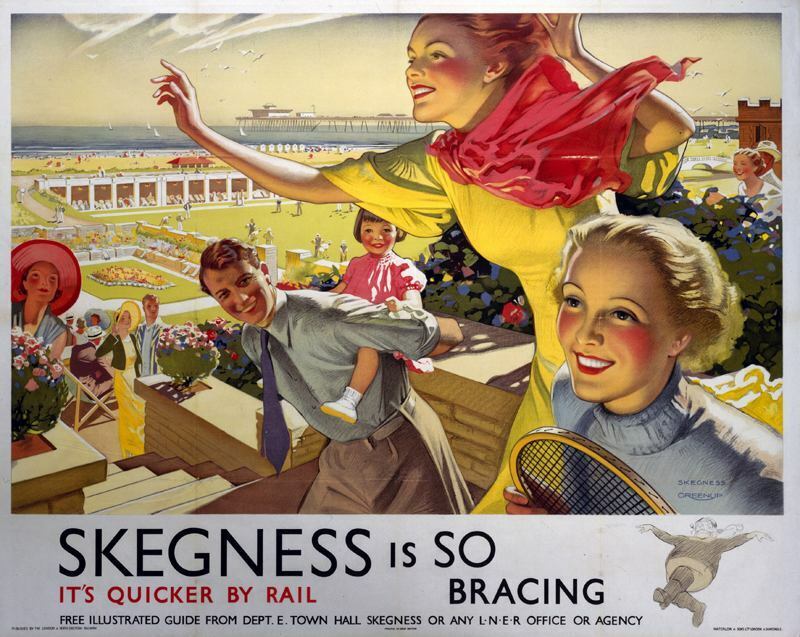 Over 400,000 visitors now attend every year. 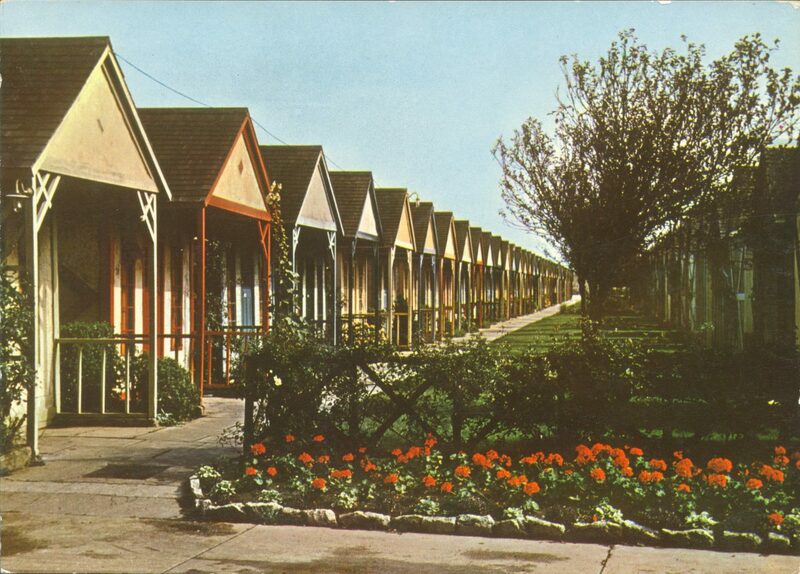 One of the original 1936 chalet accommodation units is still present and is now a grade II listed building. 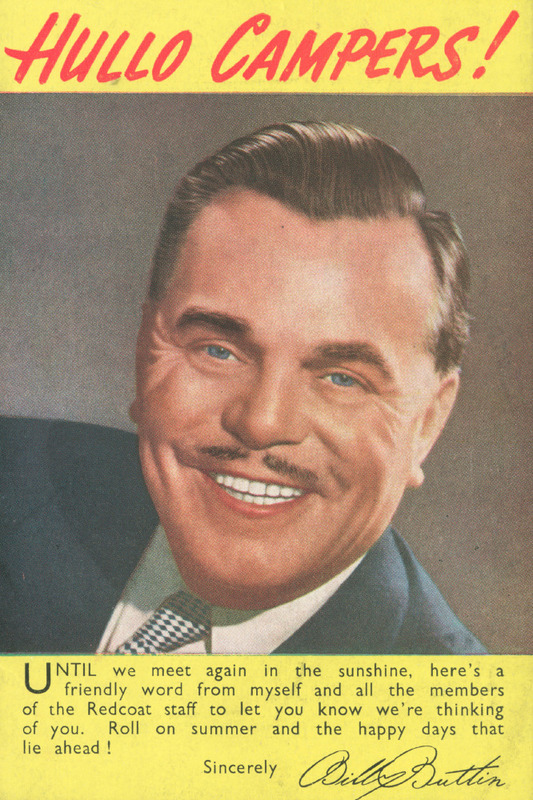 The slogan ‘Our True Intent is All for Your Delight’, originally a quote from Shakespeare’s play ‘ A Midsummer Night’s Dream’ was first seen by Billy Butlin when he saw it on the side of a musical organ. 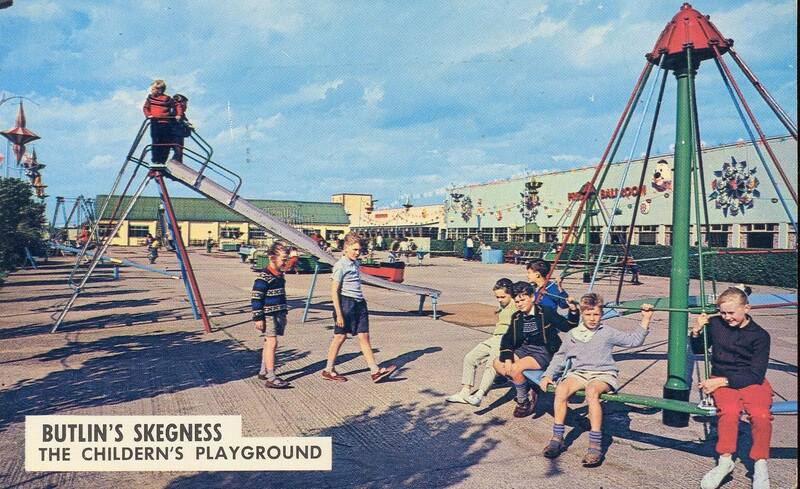 Whatever ‘childern’ were, this was their playground. 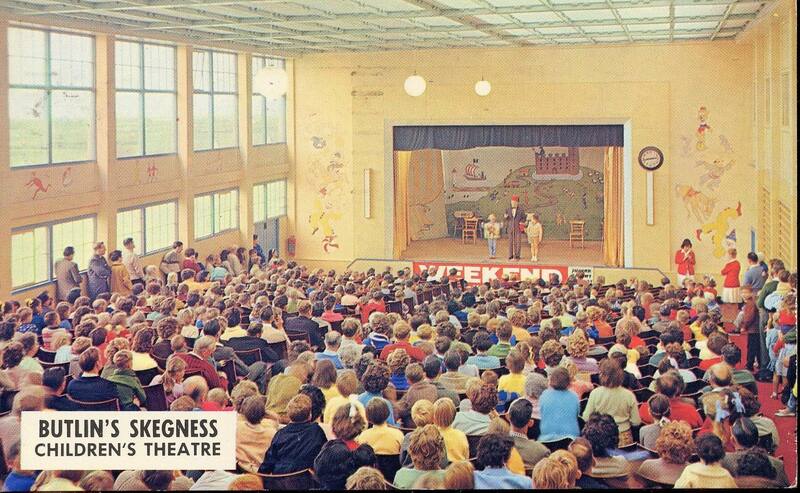 Aerial view of the Skegness Butlin’s. 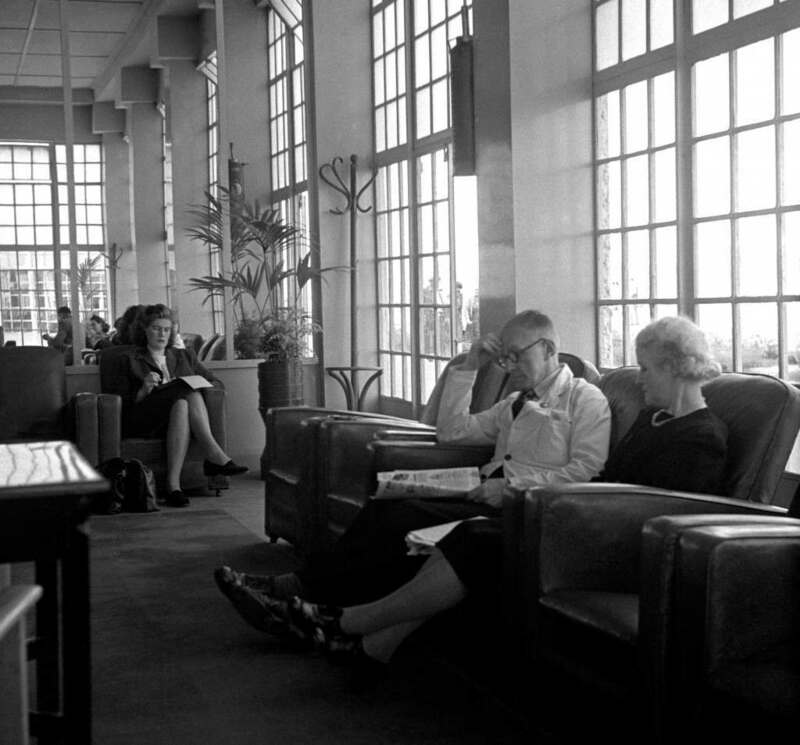 The Butlin’s reading room at Skegness, 1947. 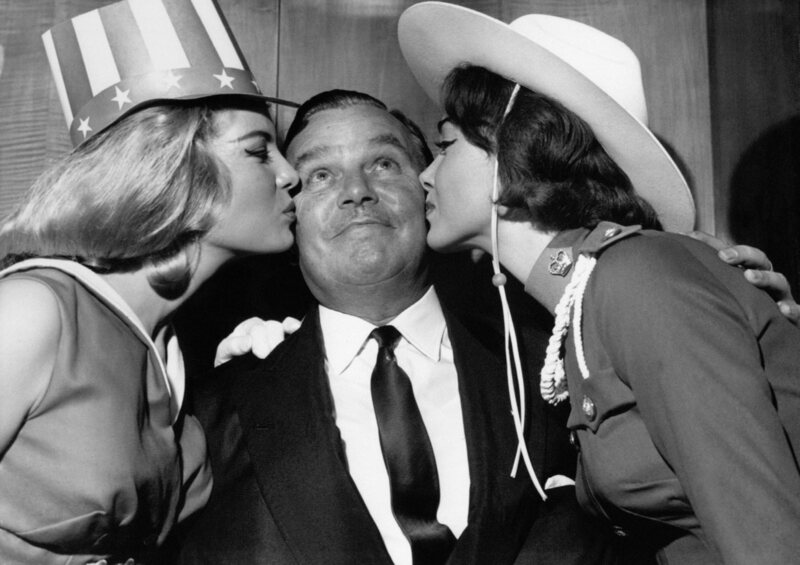 Billy Butlin gets a kiss from Miss America and Miss Canada in 1962.